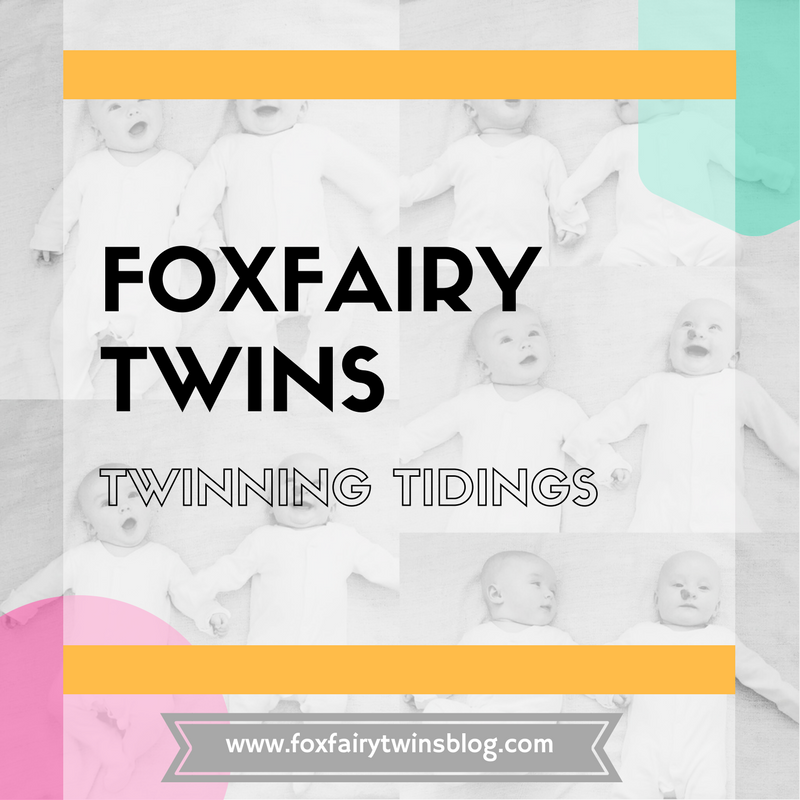 This entry was posted in Beatrice's Haemangioma, Monday Musings (Tales from a Twin Mumma) and tagged baby haemangioma, baby health, haemangioma, strawberry mark. Bookmark the permalink. I had a large haemangioma on my chest growing up I called it a Strawberry (didn’t know it had a name, until now!) like Beatrices it was red and protruded quite somewhat, but now it’s completely flat and bearly noticeable. My daughter Evie was also born with one on her side, it has faded dramatically over the last 2 years. Hope Beatrices treatment goes well, I look forward to reading more updates! We where really lucky that it grew quite big for the first 6 months and literally once it stopped it rapidly shrunk the the point of it disappearing by the time he was 16 months old. He has a small blemish now where it was but if you didn’t know he had it you would never know it was there. Hi my daughter had a strawberry mark on the very top of her forehead. We didn’t notice it changing size until she was nearly 7 weeks old but boy did it grow then!!! She also developed one under the skin right next to it (so no red colour showed it just looked like she had banged her head really badly!!) we were referred and told the same that it would stop growing and then shrink. My daughter is now 8 years old and although it is still there in colour (very pale red) it is flat to her skin and under her hair line so not noticeable. I was very nervous about damaging it as she had a older brother who was 3 at the time and loved cuddles with his new baby sister!!! We had a lot of stares from people and lots of “oh how did she do that?” Questions but I just went into auto pilot and explained. Your little one is gorgeous and special and perfect just like they all are! This is a very interesting post. I have seen this before but I didn’t know that they went away by themselves or that they are prevalent in twins. I hope the treatment helps improve the nostril closure really quickly. Interesting read. I didn’t know they were more common in girls (check, but I’m missing all the other traits) or that they bleed profusely when knocked. I had one on my chest/tummy area as a child, not sure if my parents got any negative comments from it. I know it wasn’t in a prevelent place like the nose where it could be knocked so easily or was so instantly visible (though I understand that’s not a concern to you, and she’s a gorgeous smiley baby) and that there is an important reason behind the treatment, but if it’s any reassurance I loved mine when I was growing up. I was really attached to it. It didn’t fade until my mid-teens, although I still have a few ‘speckles’ and my parents were really positive about it which probably helped. They always said how special it was and how uncommon it was, so they were really great. I hope you don’t read this in a negative way, it’s just to say that if it were not causing such a beautiful little sweetheart breathing problems that it’s something she could proudly show off. i don’t know what the treatment would be, I never had any, but if it isn’t totally removed just keep rising above the ignorance and let her know how special she is to have one. Remind her how beautiful she is and let it be part of her early confidence. Good luck, with the treatment though, I hope she’s back to full breathing soon. They’re both gorgeous children. I did Not know however that it was so delicate and that it could bleed so bad, so die not have that stress. It now has gone flat and faded, he is 7 years old. Your twins are both beautifull! It’s nice to hear someone experiencing the day to day things I have to cope with too. I’m a mum to 18month old twins, twin 1 Eryn developed her strawberry birthmark about 5 weeks after she was born. Hers is on the right side of her forehead and is very large. I’ve had numerous people approach me asking what it was even had a child comment “ergh she’s got a grape on her head”. I’ve had to push hard with our doctors to get some advice on her birthmark as there isn’t a lot of information regarding them. Unfortunately we had an incident where it bleed terribly and the doctor finally referred us to Great Ormond Street Hospital where we go every 6 months. When we had our first consultation it had become known that not only did she have the protruding birthmark on her head but that she also had a further 6 pin prick birthmarks across her body. Like you we were prescribed the beta blocker but to date we have found has not made much of a difference (hopefully this won’t be the same case for you!) going back to the hospital in August so we shall see what the consultant says! Somehow your lovely baby showed up on my Instagram feed! They are both so darling! I am also a twin mom, and one of my twins has a strawberry birthmark on his back. Unfortunately his started peeling and then cracking and became ulcerated. We took him to the dermatologist who found out that he had a staph infection! Poor little guy! If it happens again they are going to talk about other options to shrink or remove it, but for now i am to slather it with Vaseline multiple times a day. Who knew?? My oldest had one on his hand we never had problems with and you cant even see now! Anyway. Congrats on the lovely twins and thanks for spreading awareness! Fabulous blog to raise awareness. My twin girl Peony had one in her jaw line / cheek… started to notice it at 9 weeks and like you said she ticked every box! She was put on the beta blocker by great ormond street for 1 year, 3 times a day..Totally disappeared now and when we look back at photos, we forgot how enlarged it really was. Hi there my sister sent me the link to your blog and I felt compelled to comment! My little boy Seb was born prematurely and had two haemangioma’s…one on his leg and one on his head. I was so paranoid about them when people saw , and, like you, felt compelled to explain them as soon as people saw him! Seb is 2.5 years now…his head one has been hidden by hair but he’s recently started to quesion the one on his leg which we tell him is his special kiss mark…it does actually look like a lipstick kiss! We’ve since had twins ourselves (tick! )…girls (tick!) ..premature at 28 weeks (tick!) But one year old now and no special kiss marks in sight! I’m so glad I read your blog. I have 5 week old baby girl twins and Elyssia has a haemangioma close to her eye. I also have strangers comment on this and straight away my back goes up, I can’t help it, natural Mother’s response I guess! I shall try and approach it in the same way you do as like you said all I see is my beautiful little girl with her big blue eyes & dark hair and I do not want her defined by it either. However the thing I find ironic is that her twin, little Everly has a very rare skin condition (EB Simplex) – this mainly affects just her feet so cannot be seen so people do not comment on this! Thankyou for this read and I think you’re doing a great job with your gorgeous babies. I had one about 2 inches above my belly button from the day I was born. My parents called it “my little strawberry” lol! My unique mark started to vanish slowly but surely throughout my adolescence. I am now 27 with no signs of it ever existing! No harm done. Gorgeous babies, by the way!! Lucky mama! Hello! What a gorgeous little girl you have! My 9 month old son has a haemangioma on his forehead, just to the right of the top of his nose. When it first appeared I was told by doctors and health visitors not to worry and that it was just a strawberry mark – I really struggled with how little they seemed to be bothered and every time I looked at my beautiful baby all I could see was this lump and I just cried. It then grew and grew into a very red, very raised lump. Atticus was put on propanolol, an oral veta-blocker which reduced the lump almost immediately. The haemangioma was putting pressure on his eye and causing it to not fully open and we’ve got an appointment with the hospital to make sure it hasn’t damaged the shape of his eye. I no longer see the haemangioma when I look at my boy, yes it’s there and yes it’s obvious but it’s part of him. I get people asking me what he’s done to his head or what it is and I happily explain. I had a strawberry right above my belly button when i was a baby. It always stayed flat and completely disapeared at atound age six or seven. I loved mine and was quite sad when i realized it was gone lol. My little boy had the same birth mark appear when he was just a few days old too, at the side of his head. It’s grew rapidly until he was about 6 months old. At first it use to bother me as it’s all people would notice and say horrible remarks to me such as “what’s that on his head” “it looks like hubba bubba” also a few family members would always question “have the doctors said any thing else yet” every time I saw them, I would immediately jump to Charlies defence “why does it bother you it’s a part of him, he’s perfect” my heart would crumble because to me my little boy is perfect! Eventually the comments died down and people stopped noticing. He is now 1 and it’s almost gone completely! After doctors telling me it would be gone by the age of 7 I was very surprised to see it disappearing sooner! It began getting lighter and less raised at about 9 months and ever since has just been getting smaller! I have pictures to show the development of it disappearing in 4 months which I am happy to share with you if you wish! Thank you for sharing! I know this might seem like a totally random comment but tomorrow I have a huge exam on pathology and one of the sections of work is vascular malformations and differentiating them from haemangiomas…I saw your post on my instagram explore page and was obviously fascinated! Beatrice is going to help me in my exam because I always find it is always easier to remember the different attributes when it is linked to a person I know or have read about! So your little precious bundle is helping a final year dentistry student in South Africa! Thank you! Hi I have fraternal twin boys and one of my twins has a haemangioma on the top of his head like a cherry on a cupcake! I’ve struggled to get information from medical professionals as they just say it’s no big deal, it’ll disappear. I know it will. I know it’s not serious. But it’s nice to be armed with information and that’s just what this blog post has done so a huge thank you!! Hi my daughter now 11 had a strawberry on her forehead. It grew up until she was 1 and looked really painful, scarlet red and bumpy. Over a few months after she was 1 it flattened out really quickly then took a good few years for the color to subside. When she went to kindergarten at 5 the teacher asked if she’d bumped her head and she proudly told her it’s her birthmark. kids don’t mind explaining themselves. The worst experiences I had were the small kids that would point and ask and the parent that would sush and ignore the obvious strawberry that the curious lil one just wanted an explanation of. Let them learn and learn yourselves in the process!! Hers did get bumped once and did bleed a bit more then the usual cut but not anything scary. Hang in there. Your babies are beautiful! Hi momma’s! I previously left a comment on your instagram post but definitely felt like I could share my baby’s hemangioma story here (I think I spell it differently over here in the States, I apologize if certain words in this post look incorrect). Our story is much different than most, my baby Benji had one growing in his throat blocking his airways. When he was 5 weeks old, I noticed that he was breathing very loud and started to struggle to breathe. I quickly took him to the ER and they took his oxygen levels, which were pretty low. The drs gave him breathing treatments and steroids to open up his airways which helped him breath until they could figure out what was blocking his airways. Once they were able to get a camera down his throat they saw this hemangioma blocking his airways by 95%!! So scary for this new momma over here! His ENT dr had to keep him intubated while administering propranolol for one week to make sure he was getting enough oxygen while the hemangioma was hopefully shrinking. The drs we talked to said that less than 2% of people that get a hemangioma will get it in a life threatening place. My beautiful baby was one of those, I couldn’t believe our luck. Luckily after a very stressful week in the ICU, it had practically disappeared! He had a few more complications while in the hospital but it wasn’t directly related to the hemangioma but he is doing so well now at almost 7 months of age. He’ll be on the propranolol for about a year and a half but he sees his dermatologist and ENT drs regularly to make sure treatment is still going in the direction that we expect it to go. Just like all the others were saying, I had really no information on this before it affected my baby. I feel like an expert now, haha! I am glad you are open about your Beatrice’s beautiful mark here on your blog and instagram. I look forward to following them as they get older. Our Dermatologist has recommended that we start the beta blocker medicinal form asap. Going to the hospital tomorrow to start it and I am really nervous. He will have to be kept in and monitored throughout the day after they administer the initial dose. I am so scared about starting my precious baby on blood pressure medication.. but can’t ignore professional advice. I really really hope all goes well tomorrow. I want to thank you for your wonderful blog. I absolutely love it!! Hey, I had no idea how common this was until I read your post. Several of my cousins had strawberries & I think we (at least I) thought it was in our genetics. Most have been in the hair line but one cousin had one on his cheek & another had a really big one on her ribs. I don’t think we were ever careful with them because we just thought of them as birth marks & not a big bundle of nerves. I’ll remember this advice for the next cousin.